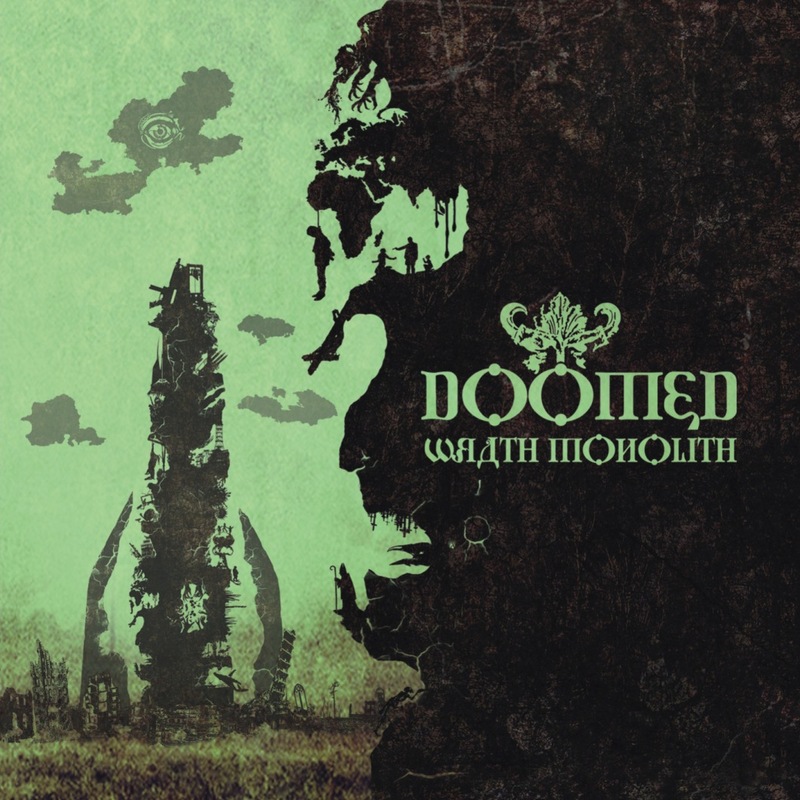 In what is turning into a very strong year for the doom/death genre, Germany’s Doomed are the latest to stake their claim with their fourth album, Wrath Monolith. In fact, “their” is something of a misnomer, as Doomed is the work of just one man, a certain Pierre Laube, who seems to do everything himself (instruments, vocals, lyrics, programming, concepts & artwork, production … that surely covers it?) To relieve the loneliness, there are a couple of guest vocalists from the doom/death genre, i.e. Johan Ericson from Doom: VS and The 11th Hour’s Ed Warby. Laube is also joined by a ‘live crew’ of musicians when he takes Doomed out on the road, including the curiously-named, yet rather attractive Frenzy Pfeifer on bass, along with another Laube, Yves, and drummer Andreas Böse. It’s surprising that Pierre has time to play live, having been so active in releasing four albums in as many years (with two coming out in 2012, he gave himself a year off in 2013) but the question is, does this latest output reach the high standard currently being set by his peers, such as the marvellous Atten Ash and Exgenesis? As if the mark at the top of this page hadn’t already given it away, the answer is predominantly yes. While the quality is not fully maintained for the duration of Wrath Monolith, there’s enough excellent music here to make seeking it an unquestionably worthwhile exercise. Doomed’s music leans towards the slower end of doom / death, usually slightly brisker than a funeral doom crawl with faster parts scattered throughout. Opener “Paradoxon” is an epic 12-minute doom/death journey, taking in long, trudging sections, excellent melodic guitar leads and a faster section akin to My Dying Bride at their most brutal, e.g. the wonderful “The Forever People”. Second track “Our Ruin Silhouettes” is more ‘death’ than ‘doom’. It’s lively and heavy, with fantastic guitar leads throughout and an extremely melodic, melancholy guitar solo, which is the only real doomy moment. It’s a great death metal tune and one of the finest of the year so far. “Euphoria’s End” mixes things up with a heavily-accented spoken part and ends with rather jolly-sounding bell-ringing, but more importantly boasts a brilliant extended instrumental section. It may not be euphoric per se, but it’s bloody good and not nearly as depressing as the title would suggest. Here endeth the first lesson and also the highlights. The rest of Wrath Monolith isn’t bad, but it doesn’t get close to the giddy heights scaled on the first three tracks. Strangely named “The Triumph – Spit” throws in cawing crows and church singing, but has a jolly-sounding riff that is so repetitive, it becomes irritating. “Looking Back” is better, managing to be seamlessly heavy, doomy and melodic, but it’s still a step down from the opening trio and “I’m Climbing” is full-throttle death metal, with screeches that sound a bit like foxes mating, until the closing couple of minutes, when things become really mellow until the fade out. Pierre Laube is a supremely talented musician and songwriter and has really excelled in parts of Wrath Monolith. However, there is room for improvement and hopefully next time out, which based on previous form won’t be too long to wait, Doomed will be nudging 10/10. This entry was posted in Reviews and tagged Atten Ash, Doom Death, Doom: VS, Doomed, Ed Warby, Exgenesis, germany, Johan Ericson, My Dying Bride, Pierre Laube, Solitude Productions, the 11th hour, The Forever People, Wrath Monolith, Zwickau.